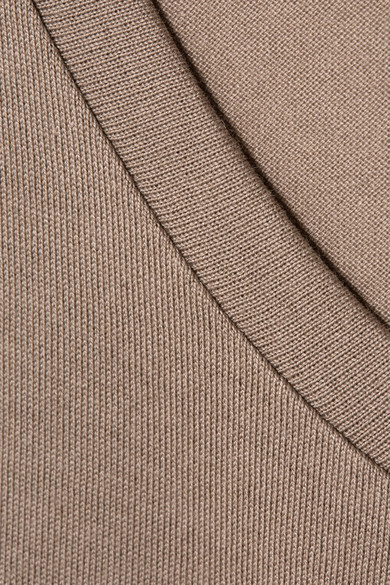 Handvaerk's design philosophy is centered around quality, so each piece from its carefully curated selection of luxurious essentials has been finished (if not made entirely) by hand. 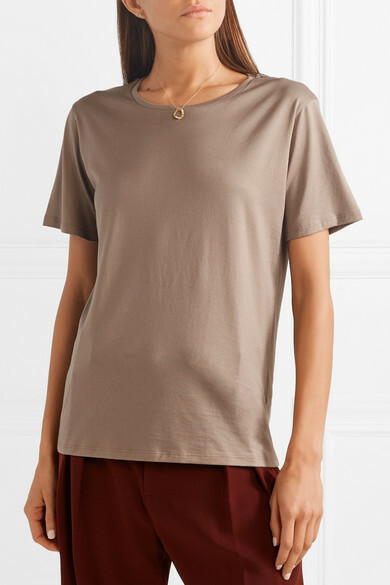 This relaxed T-shirt is spun from superfine Pima cotton-jersey that feels incredibly soft against your skin. 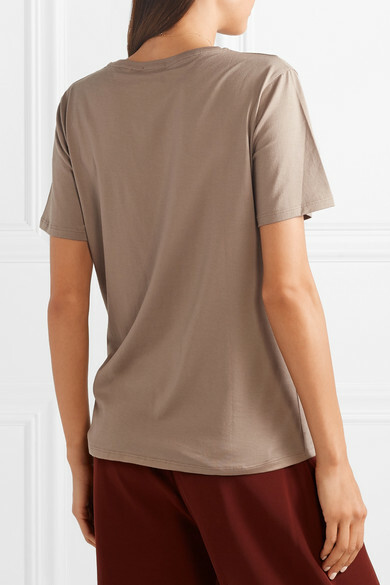 The neutral sand hue makes for endless styling options - try it tucked into wide-leg pants. 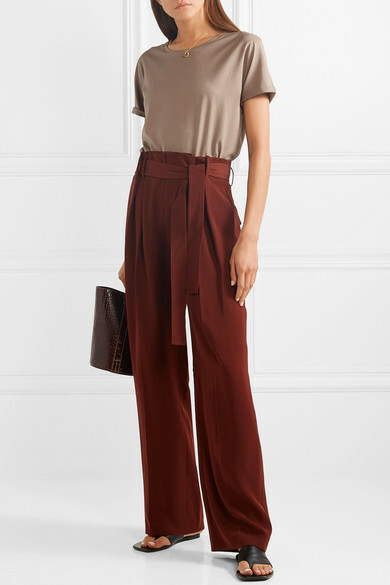 Shown here with: Vince Pants, The Row Sandals, Alighieri Necklace.